In March, I found myself doing some more reading. I managed to read 11 books, which is closer to my normal reading level. Nine of them were fiction and two non. I read almost all mysteries or suspense except for the two nonfiction books and a historical that wasn’t suspense. 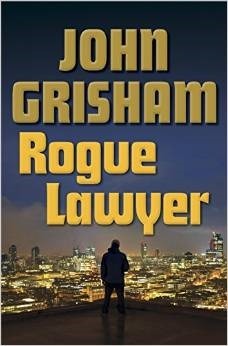 The first book I finished was Rogue Lawyer by John Grisham. I haven’t read much by Grisham yet, but I did enjoy this collection of cases a lawyer takes on because he believes the clients deserve a chance and no other lawyer wants to risk losing. 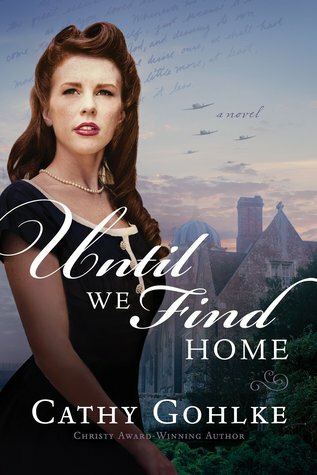 I read a WWII story, Until We Find Home by Cathy Gohlke. Claire Stewart was an American who worked in the French Resistance while working at a Paris bookstore during the war. But it was time to leave and she left with 5 young Jewish refugees expecting to get back to France. But it didn’t happen that way and she remained stuck in England. She found an estranged aunt who willingly took them all in to stay on her lovely estate. 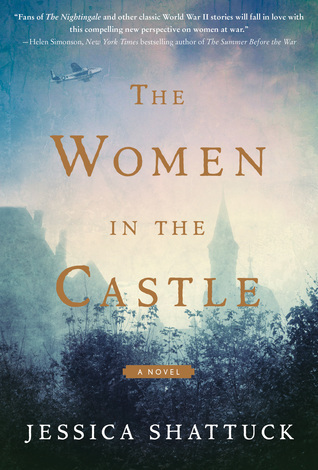 The book chosen for library book club was The Women in the Castle by Jessica Shattuck. This was also a WWII book, but from a wholly different perspective. Three women, all widowed during WWII, find themselves gathered together in Marianne’s family’s castle. It is slightly run down, but has a warm stove in the kitchen and some garden areas to grow food. This book goes back and forth from before the war, when the husbands of these women are in a resistant group to bring down Hitler, to after the war when the women deal with the aftermath and the country has to heal itself. Another book I read was a cozy mystery by a new-to-me author, VM Burns. 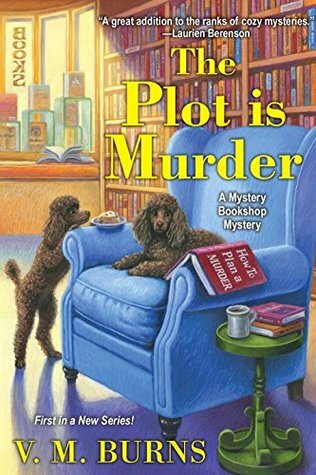 The Plot is Murder is about a newly retired teacher, Mrs. Washington (Sam) who opens a new bookstore on the shores of Lake Michigan. But she’s barely open a few days when a dead body appears near the store. Sam and her octogenarian friends gather clues to help find the culprit. I will read other books in this series. Murder by Misunderstanding by Leighann Dobbs was a good read also. 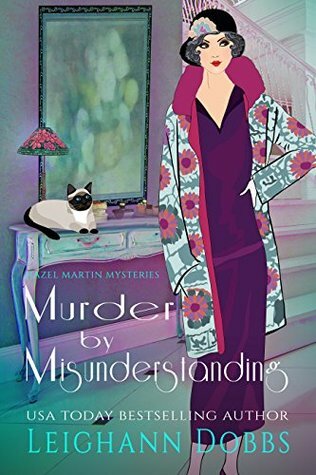 Hazel Martin is a widow who is trying her hand at writing mystery stories. She lives in a large house during the ealry 20s in England. When a maid is discovered dead at a nearby estate, Hazel’s maid asks for help in finding out what happened to her. I enjoyed the characters and setting in this book and will read more of them. 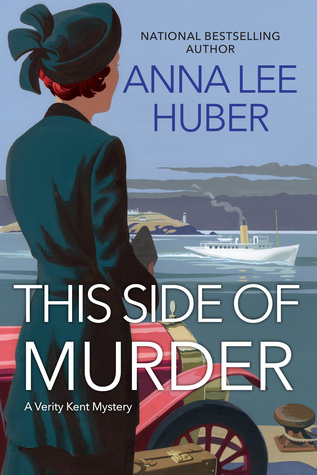 This Side of Murder by Anna Huber was another new-to-me author. Verity Kent is a recent widow from the aftermath of WWI. She is invited to a house party and is unsettled about attending. Then she receives strange messages that make her wonder how and why her husband died. Had a slight similarity to And Then There Were None by Agatha Christie, but quite different and I will read more of Huber’s books. 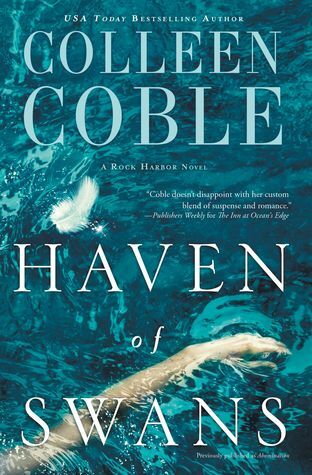 A good suspense story I read was Haven of Swans by Colleen Coble, one of my favorite authors. I read A Matter of Trust by Lis Wiehl and really enjoyed the story and characters. 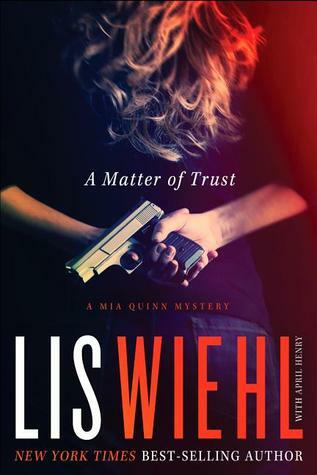 This is the first in the Mia Quinn series by Wiehl and I will read more. A colleague of Mia’s is murdered while they are on the phone together. This event spins Mia’s world and she has to stay on her toes to find the murderer while being a single parent. 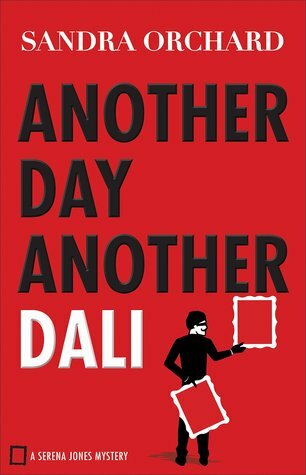 I read another mystery in the Serena Jones Mystery series, Another Day Another Dali, where Serena works as an FBI agent in the art crimes division in the St. Louis office. These are good, interesting and clean mysteries I enjoy. The nonfiction books read were both writing related. How to Write, Publish and Market a Book by Bruce Goldwell and Amen! A Simple Guide to Self-Market Your Christian Book By Leon Mentzer. Because of different issues, neither of these books got more than three stars when I reviewed them on Goodreads. This month I read a good dose of murder and mayhem. What have you been reading? Thanks, Michelle for the mini-reviews. I think I’m heading to the library to pick up a couple of these! I really enjoyed learning about these authors and their books. Thanks, Marylee! Several were new to me this month. Thanks for the reviews. I did read John Grisham’s Rooster Bar. I recommend it. Now reading An American Marriage by Tayari Jones. B. W. Read—– Fourth Sunday, the Journey of a Book Club. I recommend it. I have his Rooster Bar in my TBR pile! Thanks for the recommendation! You are inspiring me to get more reading done. Thanks, Michelle.